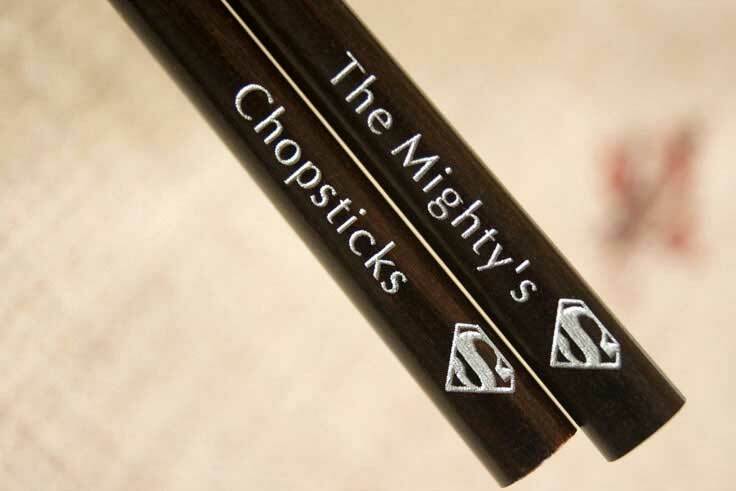 Our dark-brown wooden chop sticks are a rich dark-chocolate shade. 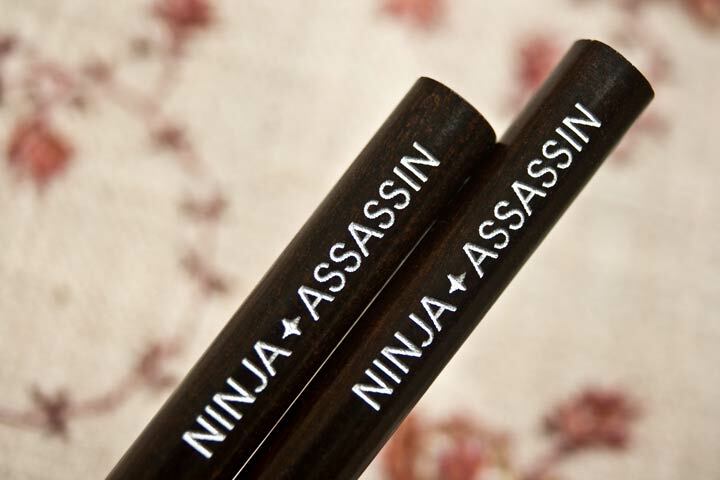 The darkwood tone offers sophisticated appeal. 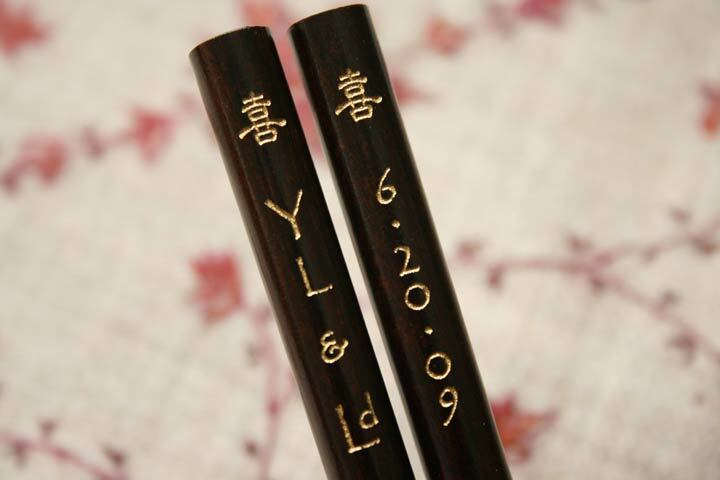 Combined with gold-filled or silver-filled personalized engraving, the high quality of these chop sticks will stand out. 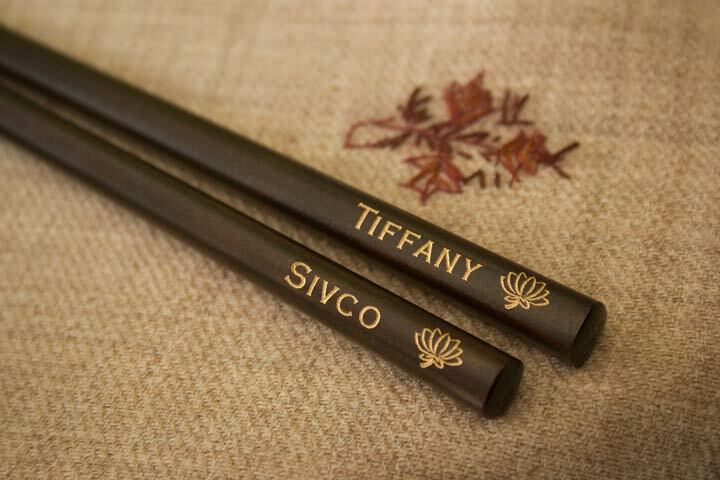 To generate an unparalleled impression, our custom-engraved deep brown chopsticks would be your ultimate choice! For an exceptional presentation, complete them with our elegant leather holder or beautiful darkwood box. 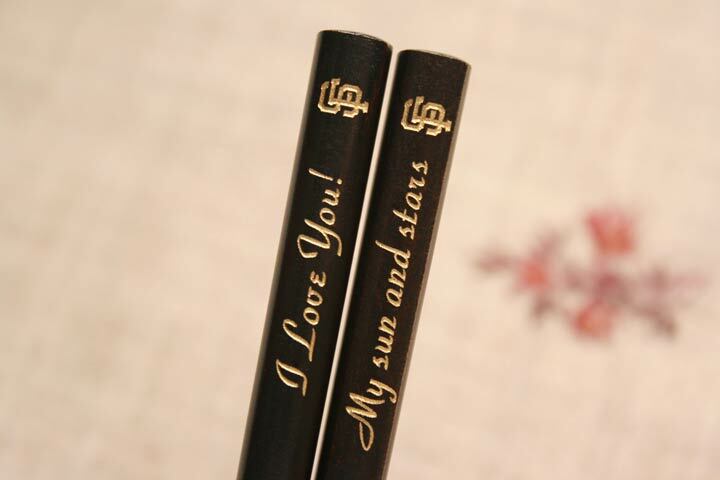 - 8 7/8 Inches (22.5cm) Long - approx. 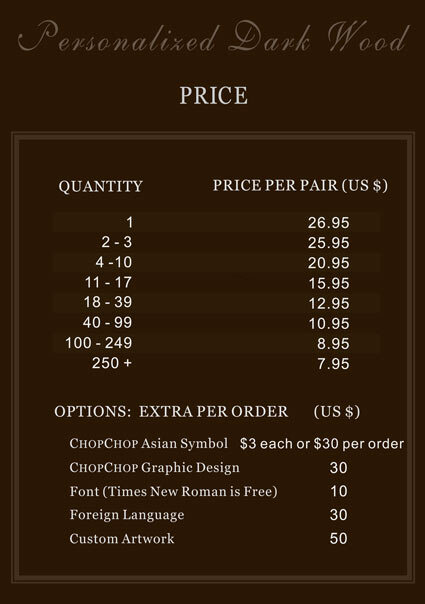 - 5/16 Inches Diameter at the Wider End - approx.